We’ve chosen Lucinda, our Business Account Manager for this month’s Meet The Team post. 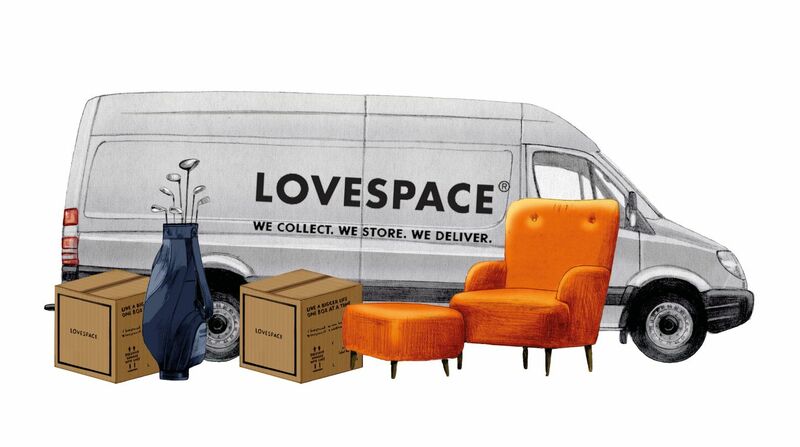 She’s always working hard to promote our bespoke storage solutions for companies – LOVESPACE for Business! Lucinda spends her time in and out of the office, talking to businesses and organising events across London’s co-working spaces. Now let’s get down to business here with Lucinda, shall we? A: I have spent most of my life surrounded by awesome women! I have two sisters, went to an all-girls school and college at university, and as a result I am very interested in gender politics. I love medieval French. I cook great blueberry muffins. I think social enterprises are cool. Q: What made you join LOVESPACE? A: I joined LOVESPACE as part of the New Entrepreneurs Foundation (NEF) 2016 cohort. The NEF is a learning programme that aims to harness young entrepreneurial talent by offering a fast-track business training programme, mentoring, and a series of networking events. LOVESPACE’s founder Brett Akker is a NEF mentor this year for the second year running, and LOVESPACE is a NEF host company. It’s great to be working for a business that is so supportive of the network, and working here has allowed me to gain true start-up experience as part of my training. Q: What do you do at LOVESPACE? A: I focus on everything to do with business customers, moving between sales, operations, partnerships and marketing. No two days are the same! I spot new opportunities for the B2B storage segment, and work closely with our key partner – Workspace, the office provider, who introduce us to companies needing extra business storage space. It’s great to work with a partner who is so supportive, especially one who has so many cool companies as their residents! Q: What’s the most interesting business use case you’ve come across? A: There’s really no ‘typical’ way for businesses to use us. We have loads of artists and designers storing their artworks, models or interior pieces. We have moved around a whole TV channel’s props and set, at all times of day and night, to fit in with their production schedule. This included a fake bike model, some massive polystyrene cubes, and a candy cart! Surprisingly, we’re also very popular with lingerie companies. A few major underwear companies store their stock until they need it back on their shelves. Q: Tell us your most unforgettable moment at LOVESPACE. A: Last year I spent an afternoon simultaneously coordinating 3 massive trucks at different locations, whilst managing a photoshoot with some partners, as well as finishing design work for a marketing campaign and helping a customer get his items on time when he was running late – all from my phone, standing on a street in St John’s Wood. It’s amazing what you can achieve in a few hours working alongside a great team! Q: What is a great skill you possess that is very useful at work? A: A good sense of humour is always useful! I think everyone here is very determined and focused. It helps you remember the most important things when there is a lot going on in the business. Q: If LOVESPACE has a variety show, what would you do and why? Thanks Lucinda! We love your energy and enthusiasm!